Online Casino games are as varied as the people that play them. As a player, you’re literally spoilt for choice. Yet, once you’ve signed up at an online casino you might feel a little bit overwhelmed by all the different games on offer. Which one do you choose to play? Whilst we can’t really choose for you, we can definitely assist in pointing you in the right direction to find the game that best suits your personality, preferences and playing style. Learning and understanding the rules of various casino games in addition to basic strategies can increase your chances of winning by narrowing the gap on the marginal house edge that most online casino games have. Most people who talk about online casino games classify them into two main groups: skill games and games of chance. The differences between skill games and games of chance are quite straight forward. Many games including Blackjack, Video Poker, Roulette and others of similar nature can be learnt and played accordingly to optimise your chances of winning. Games such as Online Slots, keno and lottery type games are completely random and purely games of chance where little chance exists by the way of strategy that can help you score that big win. Casino games are all different. While the house usually wins, some games are definitely better than others for the player. The ‘House Edge’, refers to how much the casino wins over time. How easy are these games to play? Generally speaking, the more difficult a game is to play correctly, the better it returns, although there are some exceptions to the rule. Let’s take a close look the types of casino games that you can play, with a short description of each game. Gaming machines are any casino games that are machine operated. These games were traditionally electro-mechanical and coin operated, though modern gaming machines can be operated with coins, tokens and even paper money and are now almost all completely digital whether they are in a land-based casino or an online casino. The two most common types of gaming machines in online casinos are online slot machines and video poker. Amongst the plethora of online casino games, online slots are hands down the most popular. Originally, these games with their fruit and bell symbols were only 3-reeled. However, nowadays you’ll find everything from 3-reeled, 5-reeled, other multi-reeled slots as well as the ground-breaking progressive jackpot slots games. If you thought that slots were a matter of lining up bells or sevens, then you are in for a total shock. Casino slots have become a mini-entertainment genre all of their own in recent years. The themes range from sci-fi and horror movie tie-ins, from Ancient Rome, heavy metal bands, reality TV shows though to classic novels. Break out bonuses with video clips, interaction and the chance of big (often extremely big) jackpot windfalls add to the interest. To learn more about the rules, odds, strategies, money management and terms used to play these casino games take a look at our Online Slots Guide. Video Poker is one of the most popular online casino games. Available in a wide variety of themes, Video Poker is for the player who likes a game of skill. For the low house edge, the potential of large wins and the anonymity of playing alone, then there is no other game that can compare to video poker. As Video Poker is between a single player and the computer, the play is fast, as no time is required to be spent waiting for other players to ruminate and place their bets. The rules of Video Poker are simple; Play 1 to 5 coins, you are given up to five cards, you choose which to hold and which to discard. The Online Dealer replaces your discards and pays you off depending on the value of the cards remaining in your hand. Video Poker is the exception to the rule, ‘the house always has the advantage’. If you look for the most liberal pay tables and play them smartly, you may enjoy a slim advantage. Factoring in incentives such as cash back, free play, mailers and other competitions some video poker machines can return over 100%. Check out our online Video Poker Guide. Land based casinos did their fair share to raise the popularity of table card games but at the end of the day, you still needed to physically go to a casino to play your casino favourites if you wanted to be like your favourite movie characters, James Bond or Danny Ocean playing what looked to be coolest games on earth. It remained so, up until the launch of the online casino. Traditionally, table games have always needed at least one dealer to control the game. Now, online casinos have made it possible for you to not only enjoy your favourite table game like Baccarat, Roulette, Craps and Blackjack at any time of the day, but you can also do it at the comfort of your own home or ‘on-the-go’ on almost any electronic device you please. The game of Roulette, either played online or in a land based casino is built upon the same principles. 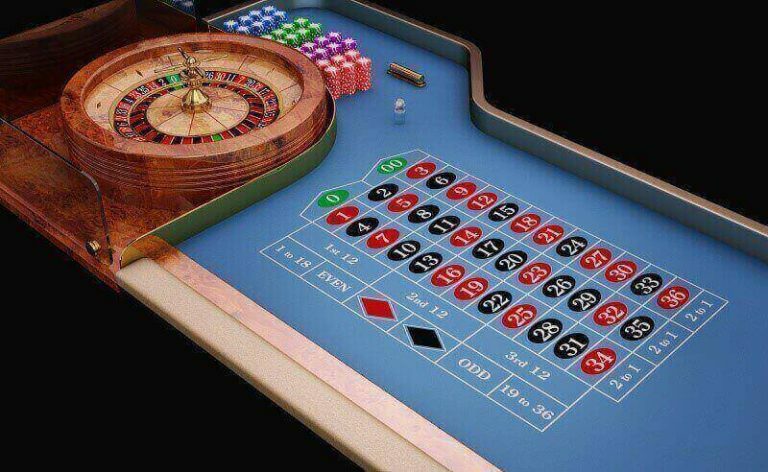 Depending on where you are playing, Roulette is played on a wheel which features either 37 or 38 slots and it also features a small, usually white or silver ball. This ball must land in one of these slots once the wheel is spun by the croupier. The croupier, (the dealer), who represents the house, takes your bets and pays should you happen to have predicted the correct outcome. Simply put, correctly guessing where the ball will finally land means that you are the winner of that round. It could not be any simpler than that! Perhaps it is the simplicity of the game then which makes it so popular at both online and land-based casinos to this day. When the rules are as basic as this, everyone has an opportunity to get in on the winning action. Checkout our Online Roulette Guide. Craps is a dice game where players make wagers on the results of the roll of a pair of dice. Although casino games generally favour the house, craps is one the games with the best odds for the player with a house edge of less than 1%. Craps basic rules are relatively simple. When playing craps online, you are always the shooter. You must place a wager on either the pass line or the don’t pass line. During the come-out roll if a 2, 3 or 12 is rolled then the game is over and a new game begins. A roll of a 7 or 11 and all pass line bets win. If the dice land on any other number that becomes the point. During the point phase, should the shooter roll a point, the pass line bets win. If the shooter rolls a 7, then the game is over. For a more detailed look at the game, click here for our Online Craps Guide. whether it’s going to be a tie. The winner is the one who has 8 or 9 card points first; if none of them do, then it’s a tie. With a 33.3% chance of winning, anticipation definitely runs high in this online game. 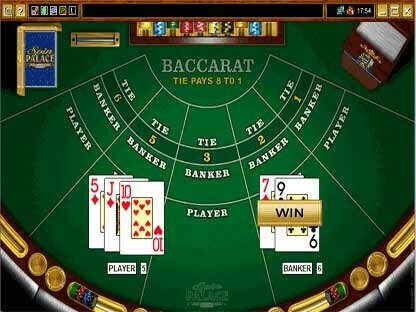 A favourite in Europe and a favourite with 007, online baccarat is quickly becoming a favourite of many online players too. The different card games available in online casinos are amongst the most popular as invariably these types of games are less about luck and more about acquired learning and skill. Blackjack is a relatively simple card game in which you are trying to beat the dealer by scoring closer to 21(Blackjack). The catch is that you cannot ‘bust’ and your hand cannot exceed the value of 21 or you automatically lose the round. Blackjack is a card game played against the house. In a land-based casino, you would be playing against a dealer, or against the computer if you are playing online. One reason why Blackjack is so incredibly popular is that the odds against the house are great and you have the potential opportunity to win some serious cash if you learn how to play well! See our Online Blackjack Guide for more details. Most Online Casinos also offer poker games that are not Video Poker Machines. 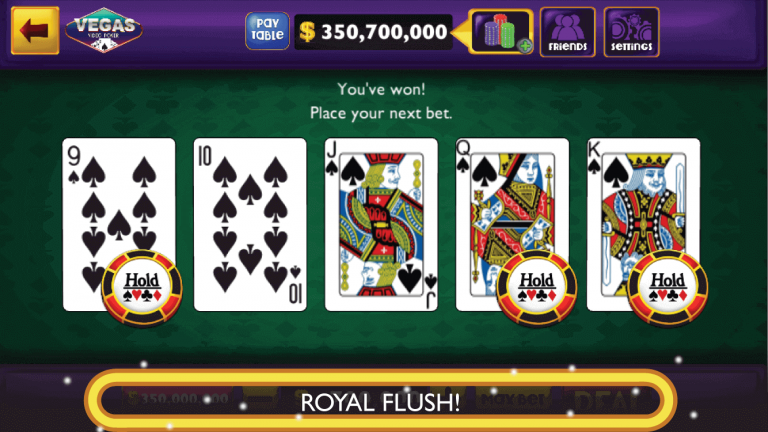 Of these, Texas Hold ‘em remains the king of online poker. This game is fun and easy to learn – you can be enjoying a competitive game within minutes. As you play, you will discover a lot of strategy is involved, not only how you play your own hands, but how you adjust to the tendencies of your opponents too. The best players are adept at reading hands and bet in such a way as to get maximum value when ahead and to get out cheap when behind. Be aware that Online Texas Hold’ Em can have a rather high House Edge at times. Live Dealer Games are for the player who longs for the feeling of playing at The Strip, Macau or Atlantic City and wants to feel the ‘buzz and atmosphere’ of real Casino play. In a live dealer casino game, a human dealer runs the game in real time from a casino gaming table, which can be seen via a live streaming video link. Players can make betting decisions via a console on their computer screen, and can communicate with the dealer. Typically, these games offer Blackjack, Roulette and Baccarat options for live play. Just click the table you want to join and a Video Chat window opens up. 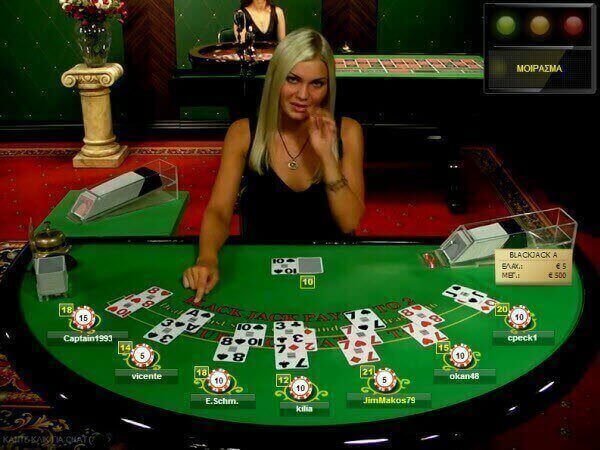 Play against real live dealer in real-time over video link. Which games offer the largest jackpots? 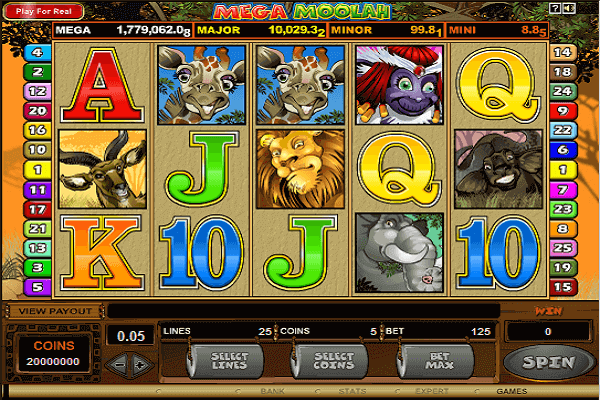 Without a doubt, Online Slots offer the highest jackpots with a British soldier currently holding the World Record Jackpot payout win of more than CAD$23 million playing Mega Moolah at Betway Online Casino in October 2015. More astonishingly, he made his win on a single CAD$0.40 bet. Debunking the ‘Rigged’ Myth of Online Casino games. In reality, the short answer is; “No. Online Casinos are not rigged, nor are they allowed to be rigged”. The implication or perception that online casinos are deliberately manipulating the odds could not be further from reality. Online Casinos are subject to stringent and ongoing testing and most offer realistic Return-to-Player percentages (Generally over 95%). The games are built using a random number generator. The generator scrolls through hundreds of results per second and the second you press the play or the spin button, a random result is selected. This technology is identical to that used by land based casinos. All games are also monitored and checked monthly to ensure they are fair and industry-wide Return-to-Player percentages are enforced. Please consult our independent Online Casino Reviews for details.